Explore the Oregon High Desert like never before on the Desert Rambler Half Day ATV Tour with Outriders Northwest. 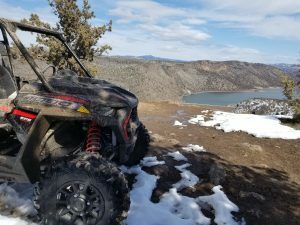 The Desert Rambler tour takes you on a variety of trails and some rock crawls along the way to an incredible overlook of the Prineville Reservoir. This tour allows our guests to see parts of Oregon that most never get to explore. Perfect for beginner and experienced riders who want to have an adventure in the Oregon High Desert. Experience some great highlights of some incredible views of the Crooked River Gorge, Prineville Reservoir and overlook bluff of the Cascade Mountain Range. You and your group will drive your own 2019 Polaris RZR and enjoy the thrill of the ride! 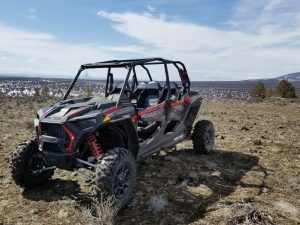 Your Desert Rambler ATV Tour will create some amazing memories while you have a Blast exploring some of the best landscapes that Oregon has to offer.